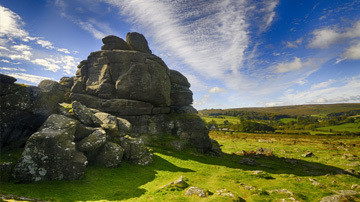 Until 1995 the Dartmoor National Park was administered as committee of Devon County Council. Then everything changed. Is it going to change again? The government certainly seems intent on transforming how local authorities deliver services. 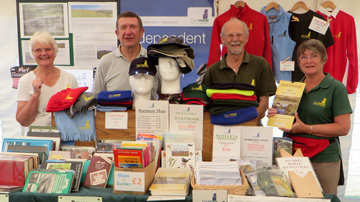 They want more and more local services provided by non-governmental suppliers. They believe that this brings better services and better communities. They claim they have proof. Most importantly, they are convinced that services should be organized on the most personal basis possible – either individually or at the parish council level. Small groups, charities and voluntary organizations will all be helped to supply these services. Local authorities will be forced to be very clear and public about assets and services available for management and supply. There seems to be a very clear message: local service provision should automatically be assumed to be better supplied by outside providers. Any local authority will have to justify why it should supply local services. The baseline is moving. The Open Public Services White Paper (11/07/11) does not address National Parks by name, probably because only a tiny proportion of the electorate live in them. 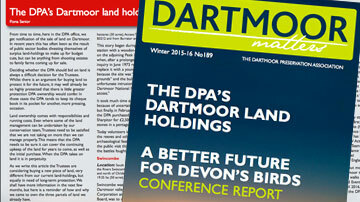 However the Dartmoor National Park is a local authority. It provides services. These services are able to be supplied by others. The boxes are ticked. Are the clocks doing the ticking? The White Paper invites consultation until August. It is not a fait accompli. Time enough to put our viewpoint. Time enough to learn and even influence how it might affect us. More organizations providing DNPA services. More service suppliers to make arrangements with. More services run by people with a passion for their own areas? 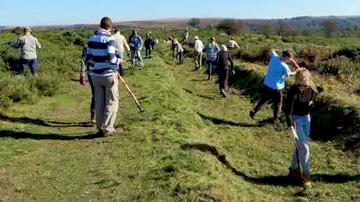 More openness to an independent charity with a long history of caring for the moor? How will this affect the DPA? What kind of services will be open to groups? Is this a threat or an opportunity for the DPA?